A man with Parkinson’s disease sitting in a crowded restaurant has to use the rest room, but he cannot get there. His feet are frozen; he cannot move. The more he tries, the more stressed he becomes. People are beginning to stare at him and wonder what is wrong. Then he remembers the song “You Are My Sunshine,” which his music therapist taught him to use in situations like this. He starts humming the tune. In time with the music, he steps forward—one foot and then the other—and begins walking to the beat in his head. Still humming, he makes it to the rest room, avoiding a potentially embarrassing situation. Freezing of gait is a common occurrence for many people with Parkinson’s disease. Such struggles can limit social experience and lead to seclusion and depression. Unfortunately, available pharmacological and surgical treatments for Parkinson’s do a poor job of quelling this and many other symptoms. But where conventional medicine has failed, music therapy can sometimes provide relief. Music therapy is the use of music by a credentialed professional as an intervention to improve, restore, or maintain a non-music-related behavior in a patient or client. As a music therapist, I have worked with many people with Parkinson’s disease and have seen how music can provide an external cue for patients to walk in time to, allowing them to overcome freezing. I have also used group singing to help patients with Parkinson’s improve their respiratory control and swallowing. Impaired swallowing can lead to aspiration pneumonia, which is a leading cause of death among this patient population. But perhaps the most powerful component of music therapy is the social benefit derived from making music together, which can help patients combat depression. 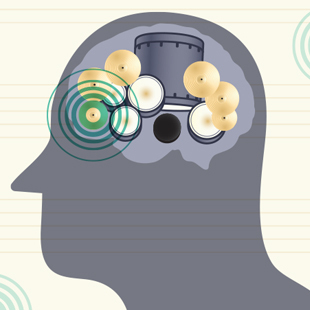 When patients with Parkinson’s engage in music therapy, often one of the first behaviors to emerge is smiling, and the flat affect and masked face that are characteristic symptoms of the disease fade away. These participants comment on how music therapy is the best part of their week, and their caregivers state that their loved ones are in much better moods—with fewer Parkinson’s symptoms—after returning home from music therapy. 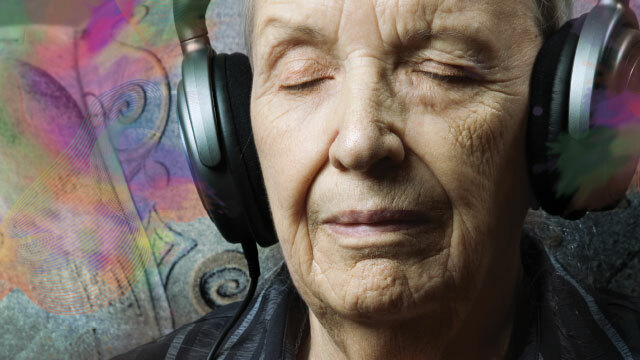 Three simple principles of neuroplasticity may explain how music therapy works. While all of this is interesting, it is not new. Aristotle and Plato were among the first to write on the healing influence of music. The earliest references to music as therapy occurred in the late 1700s and early 1800s, and the field formally began after World War I, when professional and amateur musicians played for veterans who had suffered physical and emotional trauma as a result of the war. Nowadays, certified music therapists seek to do more than just play the right song at the right time. They use music to help people with many different physical and emotional disorders or diseases. A large body of research focused on quantifying changes in behavior has provided strong evidence that music therapy is a powerful intervention for a variety of patients or clients. (See table below.) Nevertheless, it is still not always included in standard medical practice, and there is limited to no reimbursement from insurance companies for music therapy services. This resistance stems, in part, from a major unanswered question: How does music therapy work? The diversity of patient populations and music therapy settings, as well as the multifaceted features of music itself, make understanding how the brain changes in response to this intervention very difficult. 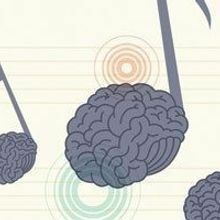 As a result, few researchers have even attempted to delve into the neuroscience of music therapy. However, I believe the answer may be right in front of us—in existing literature on neuroplasticity. By pulling together what we know about how the brain works—independently of how it responds to music therapy—I believe researchers can generate a mechanistic framework on which current and future research in music therapy can be built. Neuroplasticity is the ability of the brain to change throughout a person’s life span as a consequence of sensory input, motor action, reward, or awareness. American psychologist and physician William James first noted in the late 1800s that people’s behaviors were not static over time, and not long after, Spanish neuroscientist Santiago Ramón y Cajal suggested that behavioral changes had an anatomical basis in the brain. It is now well accepted that neuroplasticity encompasses changes on multiple levels, from individual synapses to entire cortical networks. REWARD: Enjoyable music activates the reward network of the brain, including the ventral tegmental area (VTA) and nucleus accumbens (NA). By pairing such rewarding music with desired, nonmusic behaviors, music therapists may be tapping into the brain’s reward pathway. The first has to do with the brain’s reward circuitry. Research has consistently shown that dopamine is a primary neurotransmitter involved in neuroplasticity, and dopaminergic neurons in the reward network of the brain, including the ventral tegmental area (VTA) and nucleus accumbens (NA), have been implicated in cortical remodeling, reward-related learning, and hippocampal long-term potentiation (the strengthening of synapses due to a long-lasting increase in signal transmission between two neurons). And in the past few years, researchers have demonstrated that, like food and drugs, enjoyable music activates these reward networks.1,2 Thus, by pairing music with non-music-related behaviors, music therapists may be tapping into the brain’s reward pathway. When I work with patients with Parkinson’s disease to overcome freezing of gait, I pair music with walking. When I work with patients to strengthen respiratory control, I sychronize music with inspiration and expiration. Because I use a patient’s preferred music—standard practice in music therapy—the music is by definition enjoyable. I hypothesize that this activates the brain’s reward networks and helps reinforce the learning of non-music-related behaviors, such as walking or respiratory control. THE HEBBIAN THEORY: Neurons that fire simultaneously make stronger connections. The rhythm of music played during a therapy session may be eliciting such neuronal synchronization at the same time that it helps patients regulate their movement, vocalization, breathing, or heart rate. NOISE: Exposure to noise can be stressful and can impair cognition and memory. But music is essentially the opposite of noise, with high levels of consonance. Thus, music therapy may provide a clear acoustic signal to help patients learn desired non-music-related behaviors. Although researchers have yet to demonstrate a direct link between music therapy’s effects and neuroplastic changes in the brain, it’s interesting to note that neuroplasticity is typically not lost with disease or injury. But neuroplasticity can be maladaptive, such as in the case of stroke, when changes to the brain are often pathological. 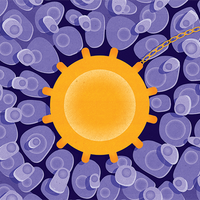 Many researchers are working to better understand how to suppress neural changes associated with undesirable behaviors while promoting changes that are beneficial. Perhaps, in addition to the neuroplasticity literature informing the mechanisms of music therapy, a better understanding how music therapy leads to positive changes in behavior across diverse patient populations will provide insight into these neuroplasticity processes. Music therapists work with a wide range of patients and clients to change many behaviors not related to music. (See table below.) These include patients going through painful procedures and/or trauma, for whom music can reduce pain, fatigue, and anxiety, perhaps decreasing the amount of sedation and analgesia needed. I have witnessed a therapist entraining a song’s rhythm to a distressed patient’s heart rate, then systematically slowing the rate of the music to slow the patient’s heart rate and, in turn, calm the patient. I have also witnessed music therapists modulate respiration rate through entrainment leading to greater relaxation and less anxiety. 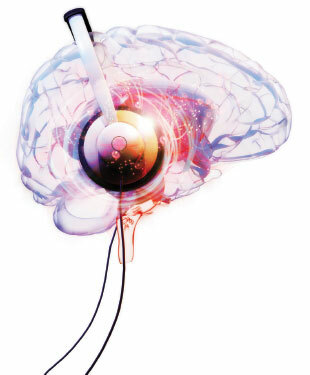 Perhaps music’s strongest feature is that it inter­acts with diverse regions of the brain. Music therapists can also play an integral part in helping children with special needs by using music to increase vocalization/verbalization to improve effective communication. I have worked with a nonverbal boy with autism, for example. While playing his favorite song as he kept time on the drum, I left out the last word of a phrase and had him fill in the gap—the first time he had ever verbalized a word. From this point forward, the boy began to speak more words and communicate more effectively with his mom. As in the case of the patient with Parkinson’s disease, using client-preferred music and rhythm with a clear music signal may have resulted in synchronous firing of the circuitry underlying verbalization, creating new connections that were strengthened through dopaminergic mechanisms. © BARRY DONWARD/GETTY IMAGESModulating dopamine, synchronizing neural activity, and reducing noise can all promote neuroplasticity. Music therapy capitalizes on all three of these principles, and I believe it is the only therapy that can. 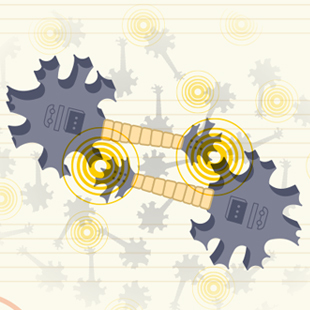 Music therapists use music to increase activity in dopamine-related reward networks. 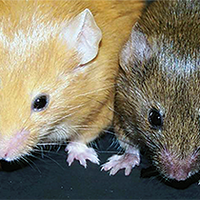 They use rhythm to synchronize neural activity of non-music behaviors. And they are trained musicians with reduced noise in their acoustic signals. Perhaps music’s strongest feature, though, is that it interacts with diverse regions of the brain. Music can activate brain regions involved in listening to, reading, moving to, and playing music, and in the experiencing of memories, emotional context, and expectations associated with music. 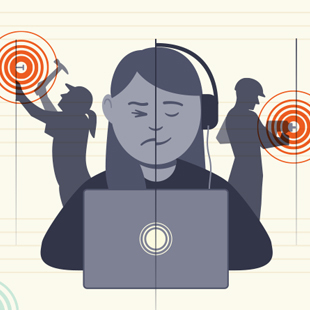 Music therapists manipulate music to bring about a desired change in non-music-related behavior, specifically targeting brain regions underlying these behaviors. With the emergence of new neuroimaging technologies and a focus on neuroscience research in health, music therapy is primed for continued investigations and new findings. The better we can understand the neural mechanisms underlying its effectiveness, the more music therapy can reach those in need. Music has shown positive effects in a variety of patient populations for improving symptoms related to different diseases and disorders. Here’s a sampling of some of the more common uses of music therapy. Elizabeth Stegemöller is a board-certified music therapist and neuroscientist at Iowa State University, where she studies the effects of music on movement and associated neurophysiology in persons with Parkinson’s disease. 1. R.J. Zatorre, “Musical pleasure and reward: Mechanisms and dysfunction,” Ann N Y Acad Sci, 1337:202-11, 2015. 2. S. Koelsch, “Brain correlates of music-evoked emotions,” Nat Rev Neurosci, 15:170-80, 2014. 3. A.J. Blood, R.J. Zatorre, “Intensely pleasurable responses to music correlate with activity in brain regions implicated in reward and emotion,” PNAS, 98:11818-23, 2001. 4. V. Menon, D.J. Levitin, “The rewards of music listening: Response and physiological connectivity of the mesolimbic system,” NeuroImage, 28:175-84, 2005. 5. V.N. Salimpoor et al., “Interactions between the nucleus accumbens and auditory cortices predict music reward value,” Science, 340:216-19, 2013. 6. V.N. Salimpoor et al., “Anatomically distinct dopamine release during anticipation and experience of peak emotion to music,” Nat Neurosci, 14:257-62, 2011. 7. E.L. Stegemöller, “Exploring a neuroplasticity model of music therapy,” J Music Ther, 51:211-27, 2014. 8. H. Kim et al., “Influence of prenatal noise and music on the spatial memory and neurogenesis in the hippocampus of developing rats,” Brain Dev, 28:109-14, 2006. 9. N. Kraus et al., “Music enrichment programs improve the neural encoding of speech in at-risk children,” J Neurosci, 34:11913-18, 2014. 10. N. Kraus, B. Chandrasekaran, “Music training for the development of auditory skills,” Nat Rev Neurosci, 11:599-605, 2010. 11. R.J. Zatorre, “Music, the food of neuroscience?” Nature, 434:312-15, 2005. 12. E.L. Stegemöller et al., “Music training and vocal production of speech and song,” Music Perception, 25: 419-28, 2008.